Midtown Gallery Walk — DiscoverRUIDOSO.com | Plan your Ruidoso getaway here! A fine art gallery specializing in original western paintings, bronze sculptures, unique fine art ceramics, handcrafted wood bowls & furniture, Taos drums and an array of custom jewelry. Within its 10,000 square-foot space, The Adobe presents a rich mix of original fine art paintings, bronze sculpture, designer jewelry, and decorative art. In keeping with New Mexico's remarkable silver and gold jewelry heritage, they also feature some of the finest silversmiths and goldsmiths in the state. 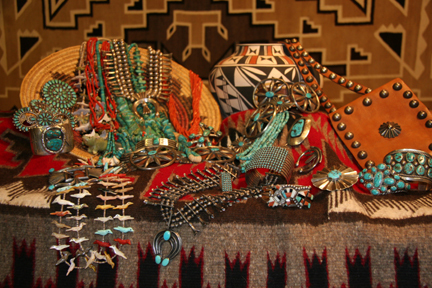 Since 1988, White Dove Gallery has featured unique one-of-a-kind jewelry, pottery, kachinas, sculptures, and copper art, and fine art glass, as well as Navajo original sand paintings and weavings. LongCoat Fine Art has been offering original contemporary and historical works of art including a wide selection of paintings of the 20th and 21st century with works by Henriette Wyeth, Peter Hurd, Michael Hurd, Peter De La Fuente and Peter Rogers. This intimate gallery feature original paintings, giclée and limited edition fine art prints by exceptional local and international artists. Southwest portraits, originals and prints, pottery, weaving and sculpture. Specializing in pastel portraits, owner/artist Teri Sodd powerfully captures the expression and feeling of the people of the Southwest. Specialists in ceramic fine art, White Mountain Pottery offers an exquisite selection from potters around the United States and especially the Southwest. Kenneth Wyatt Galleries offers Western, Cowboy, and Southwestern Art in various sizes and framing options. Since 1872, the Tanner Family has worked directly with the Native People to bring their Art and Jewelry to the market place. The tradition continues today with Lynn Tanner, a Fifth Generation Indian Trader, and his wife Kathy Dawn at Tanner Tradition. Art Ruidoso Gallery features local artists exclusively with the mission to display and offer their best works in a friendly environment at reasonable prices. For additional information on Ruidoso area art galleries, visit the Ruidoso Chamber of Commerce website at RuidosoNow.com.